New to our practice? Learn what you can expect from your first visit here. 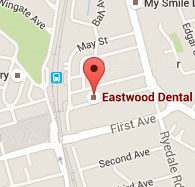 Eastwood Dental is Part of Bupa. Learn more about what this means for Bupa Members. Interested in joining Bupa? Please click here. At Eastwood Dental, your comfort and experience are our top priority and we know that many patients can experience some anxiety or fear during their dental treatment.